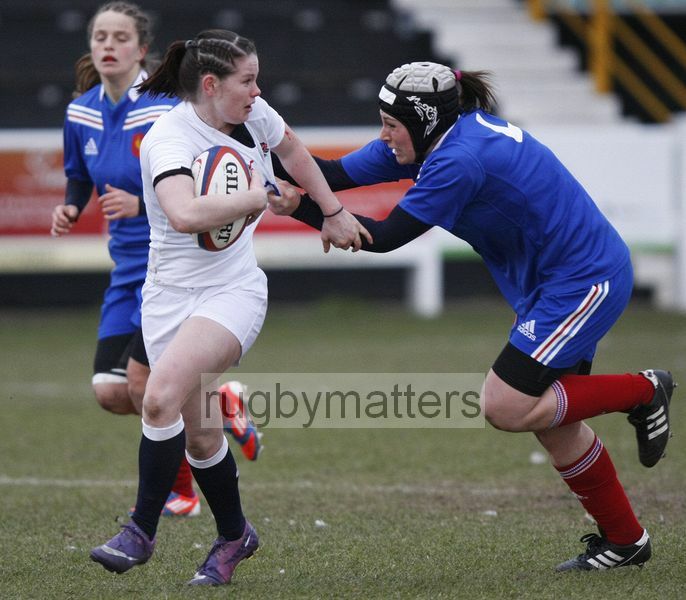 Leanne Riley tackled by Pia Clave Chastang. U20 England Women v U20 France Women at Esher RFC, Molesey Road, Hersham, Surrey. 23rd February 2013, KO 1400.